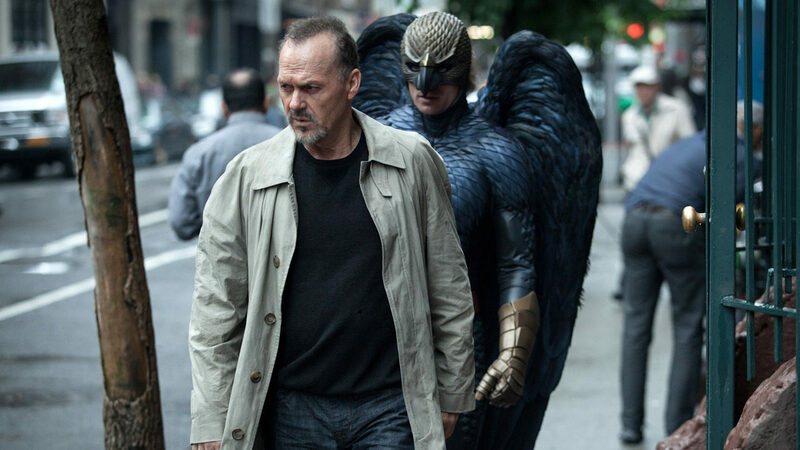 One sentiment that has followed Birdman is the overindulgence of its director, Alejandro González Iñárritu. I have seen only 2 other films of his; 21 Grams and Babel and you could kind of say the same of those films. 21 Grams adopts nonlinear story telling device and it seemed to serve no purpose other than to confuse audiences and seemed needless in such a character driven film. Then there’s the pompous intertwining narratives in Babel used to push forth its central idea which are at the very least 2 too many. The thing is in those films, the very exceptional aspects, including other aspects of Iñárritu’s direction, shine through. He coaxed superb performances from his cast in those films some of his decisions behind the camera speak of true intelligence and inspiration. Birdman is no different and it is by far the pick of the bunch. At the center of Birdman is Riggan Thomson played by Micheal Keaton (somebody say “come back”) and we first see him after one of the films numerous signature tracking shots. He is meditating about 4 feet above ground in his underpants and that kind of sets the tone for the film as far as he is concerned. The film is almost entirely set in this New York theatre where Riggan is making a comeback on stage in an attempt to revive his waned career and have the world take him seriously. Those who know Keaton will be aware of how this film mirrors his career from his turns as Batman almost 30 years ago before he quit the franchise. Here we learn he bailed from the hit Birdman superhero franchise before its fourth instalments and years down the line he seeks critical acclaim which is why he’s on Broadway starring in and directing a play he’s adapted from a short story. The film really lays out the distinction between just being famous and actually having relevant esteem and acclaim. Riggin has lots of internal battles with a part of himself embodied by the Birdman superhero himself who looks to break his spirit and ambition as he strives to achieve some level of artistic relevance. Discouragement also comes in other forms like a disastrous preview of his play or the sanctimonious “old bat” of a critic that labels everything or even in his daughter (Emma Stone) who delivers a venomous rant followed by a heartbreaking look of sadness straight from Boo in Monsters Inc. in her “money” scene which probably scored her an Oscar nomination. That rant against critics was fantastic by the way marking one of the intelligent attempts at showbiz commentary the film makes. One of the best things this movie offers are the performances headed by Keaton. He is playing a very original character and he provides this melancholic quirkiness which the film rides on. I spent a chunk of time feeling sorry for Riggan and perhaps Keaton himself as questions about the intrinsic vanity of his motivations arise. Rooting for him was hard and when he did make some positive strides I just looked on with some modicum of blue indifference. The supporting also cast puts forth a terrific showing with Ed Norton leading the way with a superb nuanced showing. On the one hand he is this serious stage thespian and we do take him very seriously early the first time we see him. He is doing some lines with Riggan and approaches the acting with upmost competence and seriousness and nails that inaugural scene where they go over some lines. A few minutes later, he is asking his co-star to play with his balls in one of the many hilarious moments he brings as this almost caricatured method actor. Naomi Watts, Andrea Riseborough bring some strong feminine spice as they deal their unbecoming men and Zach Galifianakis can actually be good without some slapstick Jive coating his acting. Overshadowing the performances is of course Iñárritu’s direction and the DP work by Emmanuel Lubezki. I noted the perceived overindulgences which I agree with but this is just tremendous execution of his vision aided by his cinematographer. I am careful to always mention Lubezki’s work because his work is pivotal to the films feel and tone excellence and maybe part of it is the awareness of his work on last year’s Gravity. The camera prowls around much like the Birdman hovers around Riggan and is that saying something about our association with that character? Maybe not but Lubezki coats the theatre with this regal palette of shaded ebony making it look almost like some sort of scare house maze. Iñárritu’s gimmicky long takes and admittedly annoying swirling just draw you into proceedings without your permission and there is aura of urgency hovering over the film. You watch for minutes on end waiting to catch that glitch that makes you go ”gotcha” but you only find about a couple in this 2 hour film. Aficionados of stage work really appreciate the effect of his directorial decisions and how they show some reverence for the art form. The long takes almost mirror the way we watch plays with the productions having no margin for error. Let me add that I loved the percussion laden score – I love drums. Birdman ends up being a technical marvel with the realization of Iñárritu’s beautiful ambition but it also retains extreme profundity with this buttressing script, co-written by the director himself, which is singed with satire, heart, pain and tasteful quirkiness.